assessed open sea areas show adequate status for pelagic habitats. 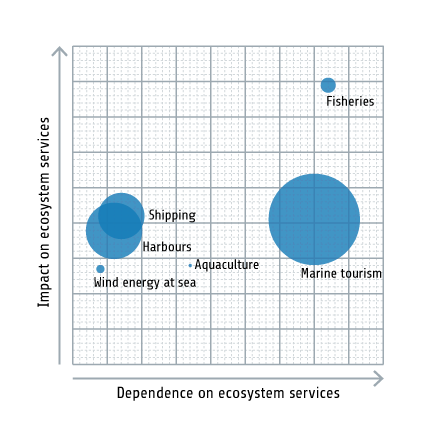 of the coastal areas achieve good integrated status for pelagic habitats. open sea areas assessed for cyanobacterial blooms show good status. The open water column is the key setting for productivity in the Baltic Sea. Microscopic primary producers support the growth of zooplankton, which all fish species depend upon during at least some part of their life. 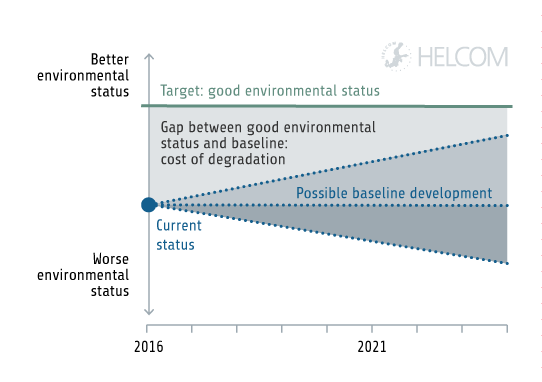 The status of pelagic habitats is affected by human induced pressures such as eutrophication and hazardous substances, as well as by natural and human-induced changes in climate. Zooplankton are only assessed in part of the region, indicating variable results. Primary producers generally do not achieve good status, except in the Kattegat. Phytoplankton form the base of the pelagic food web. They support the growth of species at higher trophic levels via being food for zooplankton, or by a more complex route including the microbial loop. 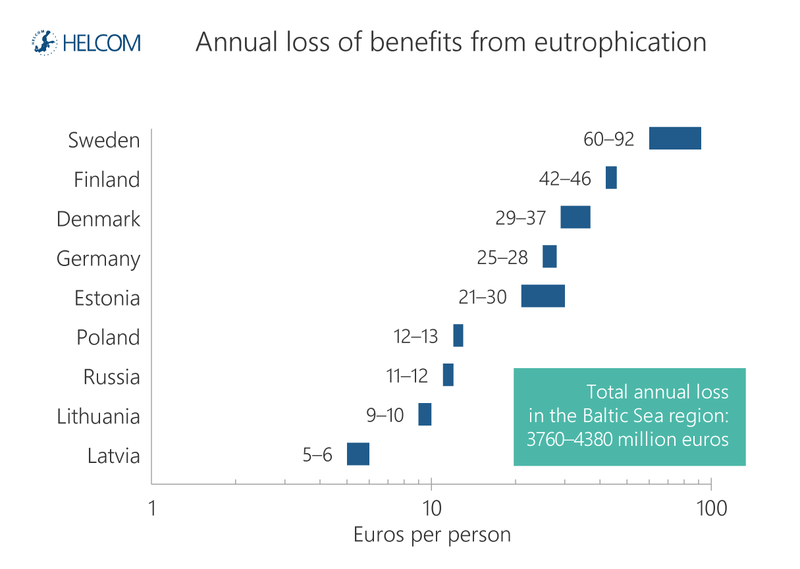 Phytoplankton blooms are a natural phenomenon in the Baltic Sea ecosystem, with blooms in late summer dominated by nitrogen-fixing cyanobacteria. However, due to eutrophication the phytoplankton blooms become more frequent and extensive (Vahtera et al. 2007). Zooplankton are represented by very small crustaceans and several other animal groups. The production of zooplankton is important for the productivity of higher trophic levels in all pelagic habitats. Cladocerans and copepods are the dominating groups of crustaceans in open sea areas of the Baltic Sea, and key food items for pelagic fish. 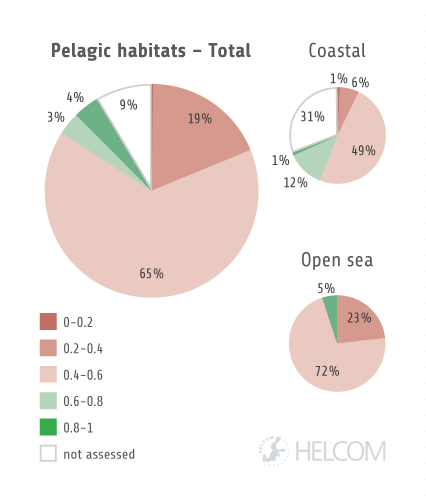 The status of the pelagic habitats in the open sea was assessed using the biodiversity core indicator ‘Zooplankton mean size and total stock’, which evaluates the zooplankton community structure (Core indicator report: HELCOM 2018ag). In good status, zooplankton is dominated by large-bodied species. Not all open sea areas could be assessed due to lack of agreed threshold values. Further, the eutrophication core indicator ‘Chlorophyll-a’ (Core indicator report: HELCOM 2018n), and the pre-core indicator ‘Cyanobacterial bloom index‘ (HELCOM 2018p) were used in order to represent changes in primary producers. Chlorophyll-a concentration is used as a proxy of phytoplankton biomass. It increases along with eutrophication as a result of higher nutrient concentrations. The ‘Cyanobacterial bloom index’ evaluates the accumulation of cyanobacteria in the surface water and the biomass of cyanobacteria during summer. 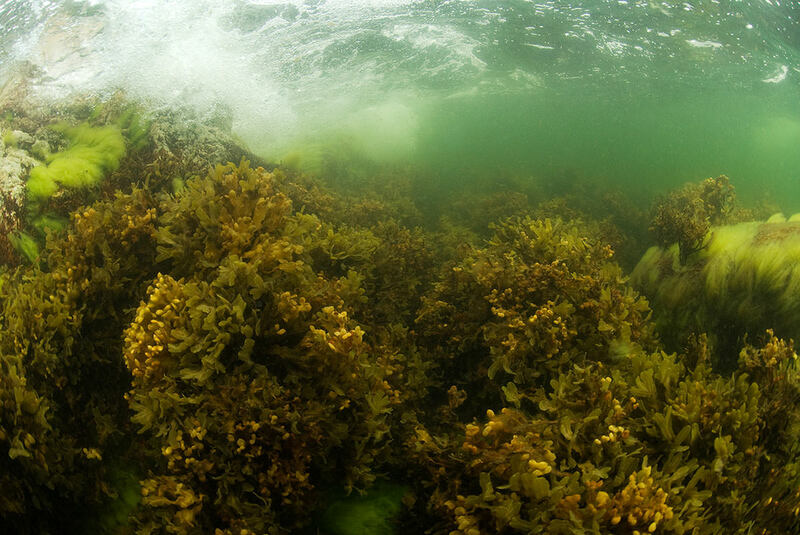 Coastal areas were assessed using national indicators on chlorophyll-a, and phytoplankton bio-volume, as used for assessments under the Water Framework Directive. The corresponding indicators are also used in the assessment of eutrophication (Chapter 5.1 Benthic habitats). 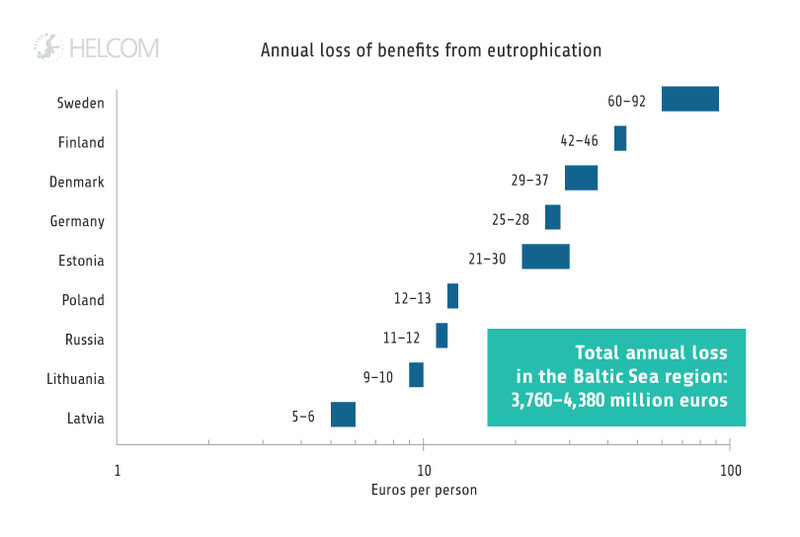 However, the results of the biodiversity assessment may differ from results of the eutrophication assessment in coastal areas, due to differences in the scaling methods of the BEAT tool as applied here, and in the HEAT tool used for eutrophication assessment. 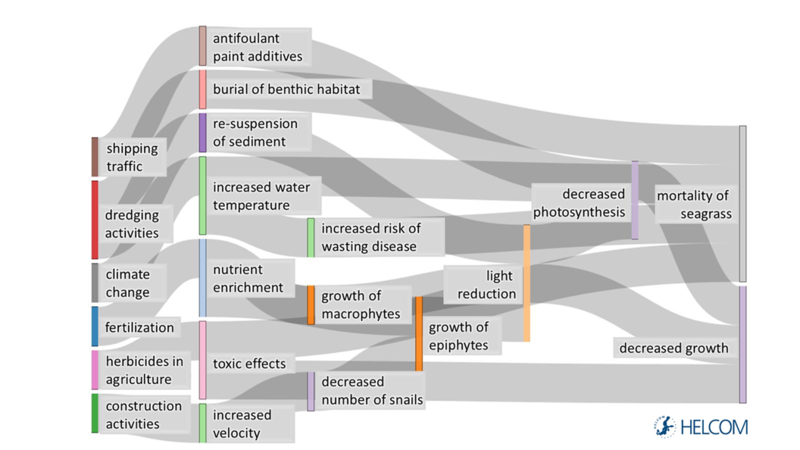 For the status of higher trophic level species connected to the pelagic environment, see subsequent sub-chapters (Fish, Marine mammals, and Waterbirds). Good status for pelagic habitats is achieved in the Kattegat, but not in any other open sea sub-basin during 2011-2016 (Figure 5.2.1). 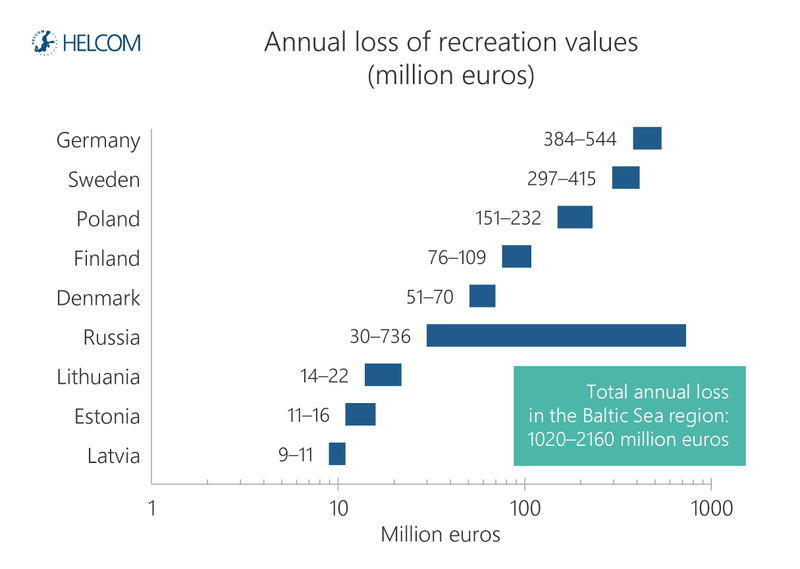 The most deteriorated status is seen in the Arkona Basin, Gulf of Riga, Gulf of Finland, Åland Sea, and the Western Gotland Basin. Results for the zooplankton indicator are variable, indicating good status in the Bothnian Bay, Bothnian Sea and Gdansk Basin, but not in the Gulf of Finland, Åland Sea, or the Western Gotland Basin. In the Western Gotland Basin both the zooplankton mean size and the biomass have decreased from the 1970s to the present. In general, the indicators assessing primary producers do not show good status, with the exception of the Kattegat where the core indicator ‘Chlorophyll-a’ achieves the threshold value. 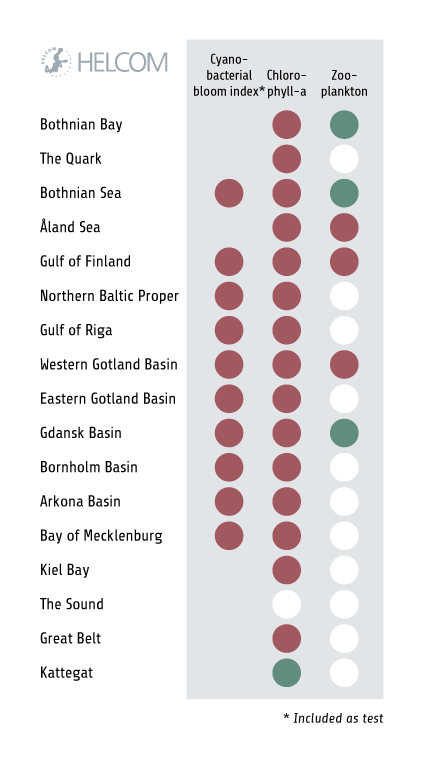 ‘Chlorophyll-a’ indicates the worst status for the Arkona Basin, relative to other basins. Historically, chlorophyll-a concentrations have increased in most sub-basins east of the Bornholm Basin since the 1970s, but the increase levelled off in the late 1990s at the levels seen today. In the Kattegat and Danish Straits the chlorophyll-a concentrations have decreased since the late 1980s (Core indicator report: HELCOM 2018n). The ‘Cyanobacterial bloom index’ fails the threshold value in all sub-basins where it is assessed. Long term data from the Eastern Gotland Basin, the Northern Baltic Proper and the Gulf of Finland, however, indicate an improving trend during the past decades in the ‘Cyanobacterial bloom index’ in the Baltic Proper (HELCOM 2018p). The results for coastal areas show slightly higher geographical variability than those for the open sea. 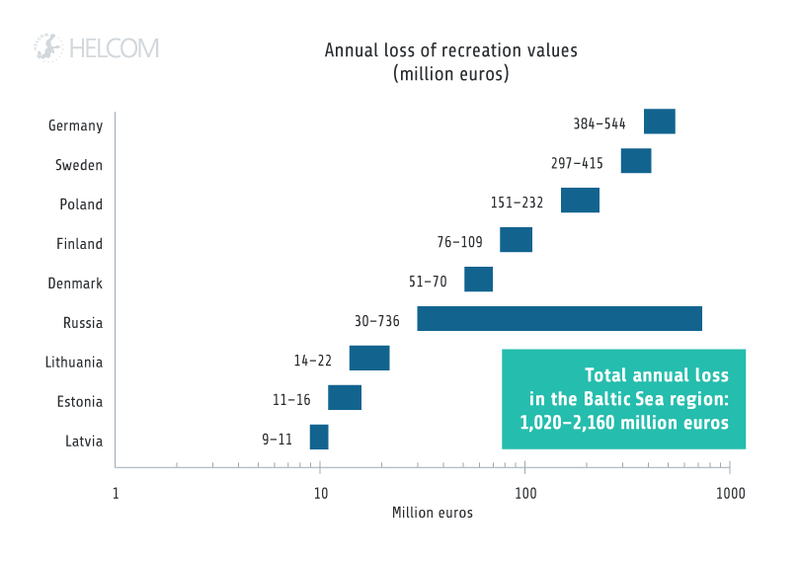 Good status is indicated in 26 out of 128 assessed coastal areas, corresponding to 20 % of the area assessed in the Baltic Sea region (Figure 5.2.2). The confidence in the assessment is between moderate and high in the open sea, and low in coastal areas. Figure 5.2.1. Integrated biodiversity status assessment for pelagic habitats. Status is shown in five categories based on the integrated biological quality ratios (BQR). Values of at least 0.6 correspond to good status. Open sea areas were assessed based on the core indicators ‘Zooplankton mean size and total stock’ and ‘Chlorophyll-a’, as well as the pre-core indicator ‘Cyanobacterial bloom index’. 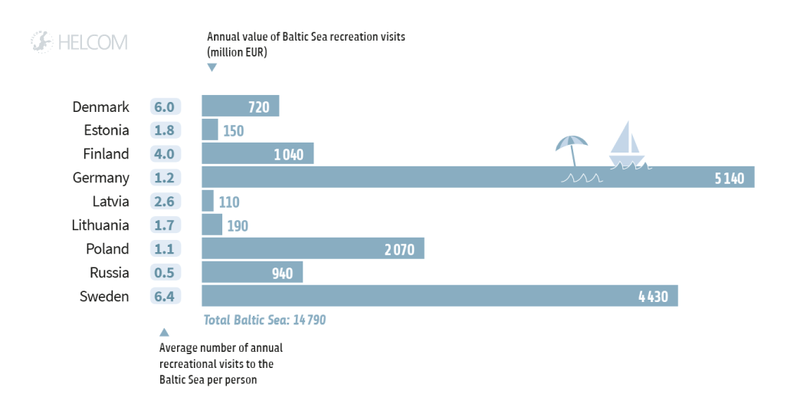 Coastal areas were assessed by national indicators. The integrated confidence assessment result is shown in the downloadable map (below), with darker shaded areas indicating lower confidence. The table (right) shows corresponding assessment results for the core indicators in each open sea assessment unit, with green denoting ‘good’ and red ‘not good’ statuses. White circles denote that the area is not assessed by the indicator and empty points that the indicator is not applicable. Figure 5.2.2. 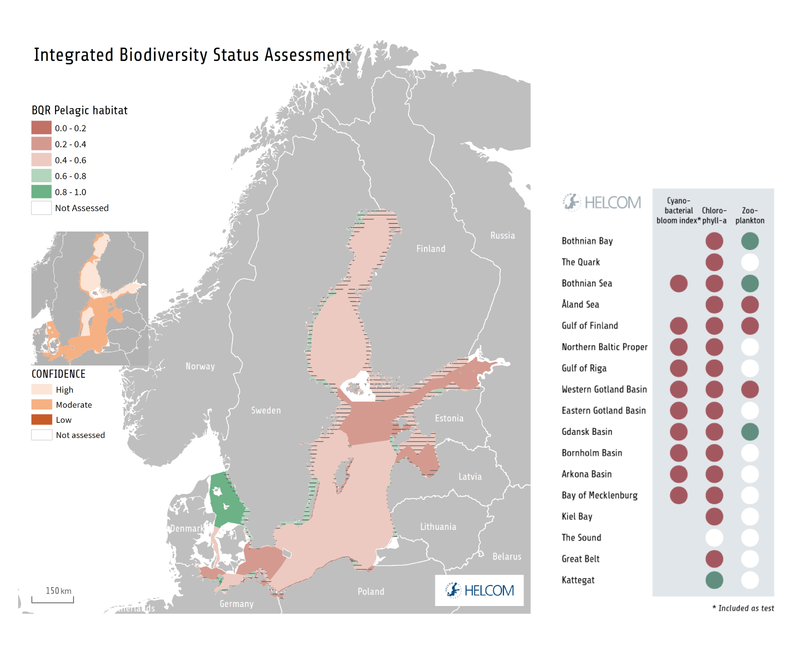 Summary of the integrated assessment result for pelagic habitats, showing the proportion of the Baltic Sea area, by areal coverage, within each of the five BEAT assessment categories. The legend shows the status categories in relation to the integrated biological quality ratios (BQR). Values of at least 0.6 correspond to good status. White sectors represent unassessed areas, including areas not assessed due to lack of indicators or data, and all Danish coastal areas. The function of the pelagic food web is not only dependent on productivity, but also on the relative abundance of different species and species groups. At the base of the food web, the timing and relative abundance of phytoplankton species, particularly those dominating the biomass, influence the availability of food for zooplankton or other grazers. Cyanobacteria, dinoflagellates, diatoms and the ciliate Mesodinium rubrum are common dominant phytoplankton groups in the Baltic Sea. Changes in phytoplankton can, for example, be monitored by the ratio of diatoms to dinoflagellates, which are both dominating species groups during the spring bloom, and by evaluating the seasonal succession of dominating phytoplankton groups. 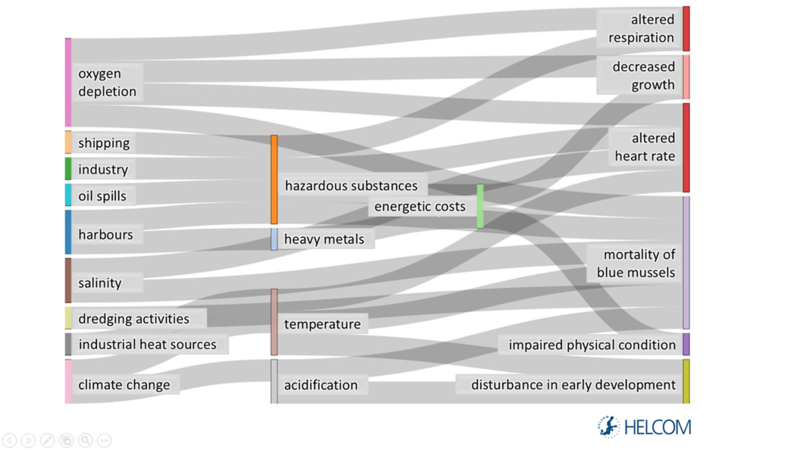 Indicators for these aspects are currently tested (HELCOM 2018ah- ai). The relative abundance of diatoms and dinoflagellates may be influenced by changes in eutrophication as well as climate change (Wasmund et al. 2017a,b). For example, clear shifts in relative abundance occurred in the late 1980s in connection to a series of mild winters (Wasmund et al. 2013). Such fluctuations may affect the nutrition of zooplankton and may also lead to subsequent changes in other parts of the food web. Whereas dinoflagellates stay longer in the water column, diatoms produced in the pelagic habitat are additionally important for the benthos, as they sink quickly after the bloom. In the Eastern Gotland Basin, an indicator comparing the ratio of diatoms to dinoflagellates has been tested, showing that good status is not achieved in the assessment period (Figure 5.2.3). 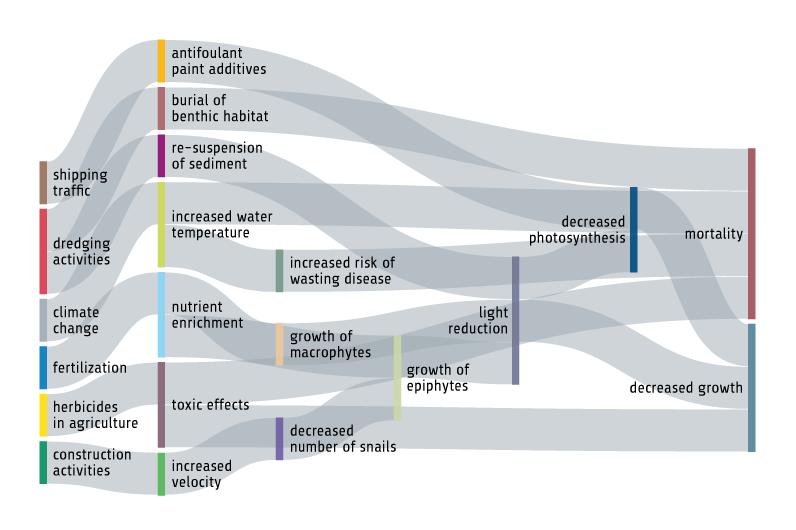 Understanding the seasonal succession of phytoplankton groups may offer additional insights into ongoing changes in the marine environment, including potential effects of human induced pressures. By comparing the coincidence of seasonal succession of dominating phytoplankton groups against a reference period, it is possible to evaluate the number of occurrences when the regular successional pattern deviates, and this can be measured against a specific threshold value. The challenge is to find a suitable reference period as it is difficult to find historical data from unaffected ecosystems. 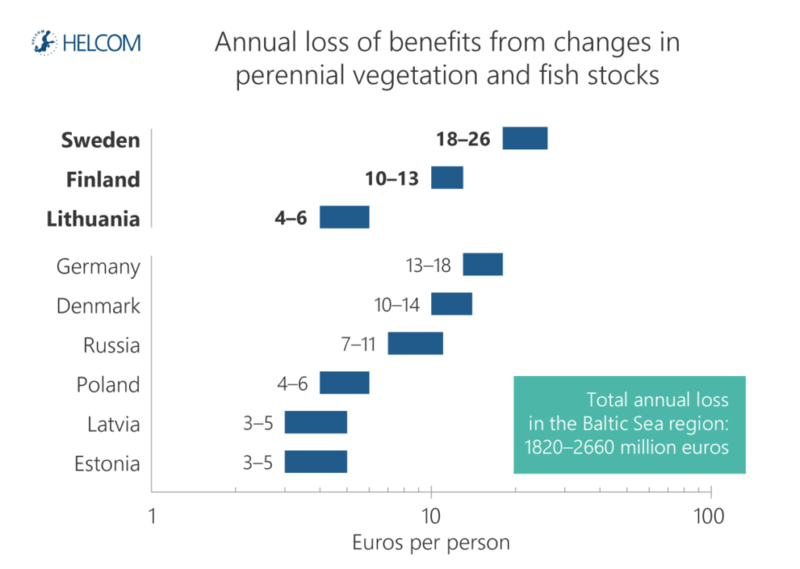 In those areas where the seasonal succession of dominating phytoplankton groups has been evaluated, the proposed threshold values are not achieved in the Bay of Mecklenburg Arkona Basin open sea, Bornholm Basin open sea, Eastern Gotland Basin open sea, Gulf of Riga including Estonian and Latvian coastal waters, Northern Baltic Proper including Swedish coastal waters, or the Gulf of Finland Estonian coastal waters, but are achieved in Lithuanian coastal waters in the Eastern Gotland Basin and the Gdansk Basin open sea areas (HELCOM 2018ai). Among the zooplankton, cladocerans and copepods are important food sources for fish. Since zooplankton of larger sizes are typically more nutritious, the biomass and size distribution of the zooplankton community, as evaluated by the zooplankton core indicator (Figure 5.2.4) is a useful measure of the status of the pelagic food web (Gorokhova et al. 2016). The indicator ‘Zooplankton mean size and total stock’ shows variable results in different sub-basins. Changes over time observed in the Gulf of Finland have been attributed to a decline in cladocerans, whereas decreases in total zooplankton biomass in the Western Baltic Sea and the Bornholm Basin have been attributed to a decline in copepods. 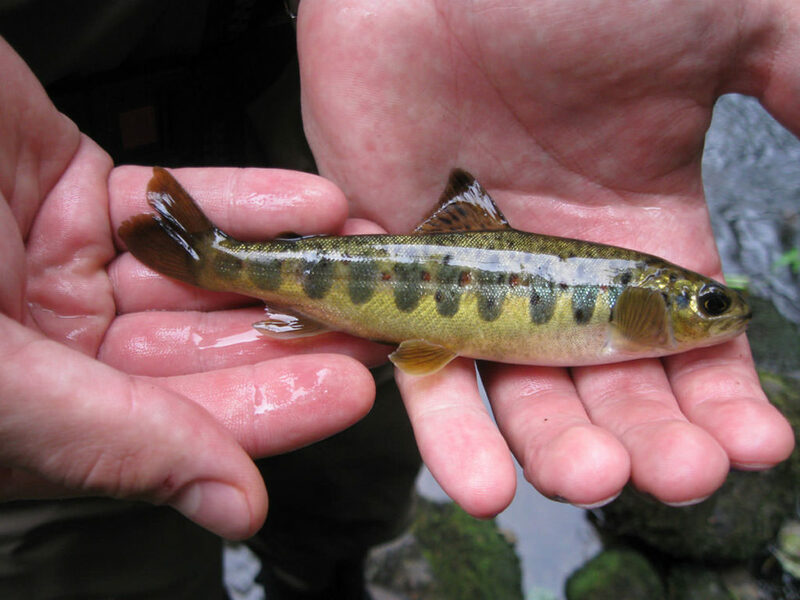 At the general level, an increase in the proportion of small-sized taxa and groups is observed in all sub-basins where good status is not achieved. 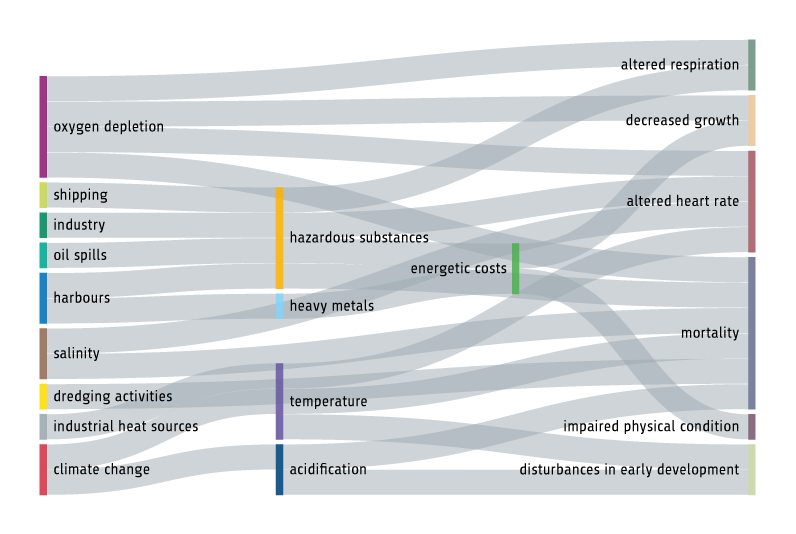 Figure 5.2.3. 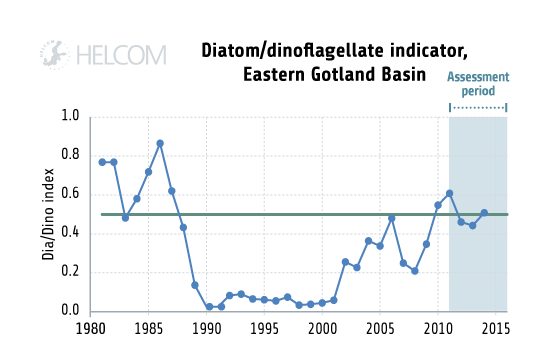 Trend over time in the ‘Diatom/Dinoflagellate index’ in the Eastern Gotland Basin. 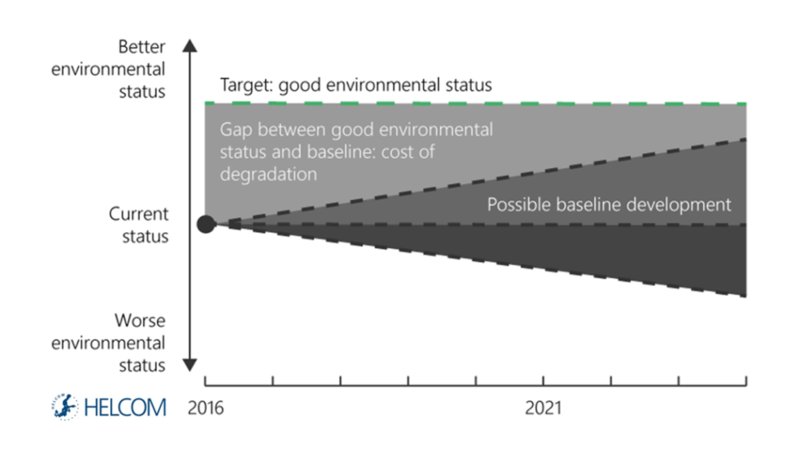 The green line shows the minimum threshold value, which is set at 0.5 in this basin (Source: HELCOM 2018ah, Wasmund et al., 2017a). Figure 5.2.4. The assessment of the core indicator ‘Zooplankton mean size and biomass’ requires that a minimum level of both the total biomass and the mean size of the zooplankton community is reached. The figure shows the long term trend in the core indicator in the Western Gotland Basin, as an example. The size of the circles corresponds to mean size of the zooplankton community, which ranged from 2 to 13 µg per individual. Black circles denote years when the mean size achieves the threshold value, and grey circles denote years when the mean size is below the threshold value. Circles marked with a red outline indicate years significantly below the threshold value for the core indicator, considering both mean size and biomass. The status of pelagic food-webs is strongly dependent on nutrient levels, and hence on the success of measures to reduce eutrophication. In addition, both phytoplankton and zooplankton are influenced by climate-related environmental changes, such as increases in temperature and acidity. These factors may affect both the overall pelagic productivity, species composition and size structure. Further, changes in the composition of higher trophic level species, such as fish communities, may influence both zooplankton and primary producers by increasing or decreasing the levels to which these are grazed upon (Casini et al. 2008). The productivity, species composition and size structure are important for the roles of phytoplankton and zooplankton communities as food for higher trophic levels. Most visibly, blooms of cyanobacteria can include toxic species. As another example, an increase in small-sized zooplankton and decrease in zooplankton total biomass is likely to result in a weaker food base for pelagic feeding fish, such as herring, sprat and juvenile cod (Rönkkönen et al. 2004, Gorokhova et al. 2016). Other effects of a deteriorated pelagic system are decreased recreational value, enhanced oxygen consumption and the extension of areas with low or no oxygen in benthic habitats (Vahtera et al. 2007). 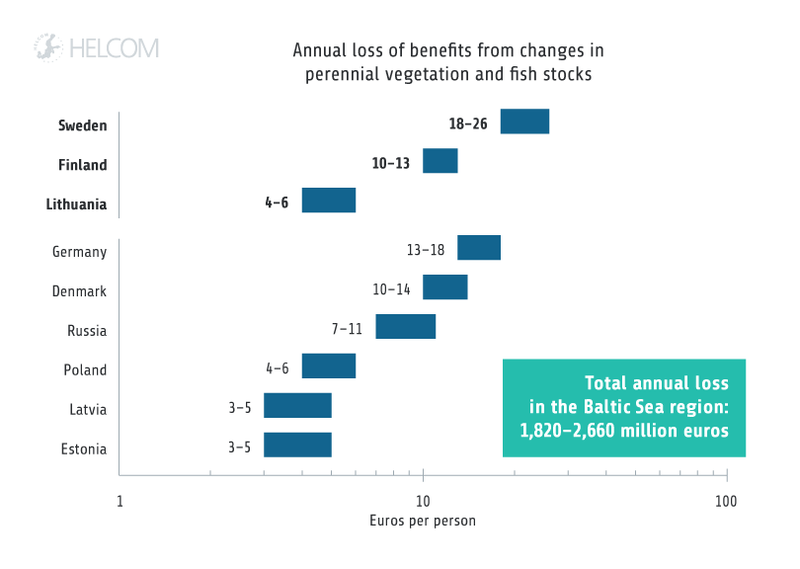 The recovery of pelagic habitats in the Baltic Sea depends to a large degree on the success of eutrophication management, but importantly also on maintaining the structural integrity of the Baltic Sea food web. Both primary producers and zooplankton are directly affected by changes in temperature and seasonality, leaving the pelagic system highly responsive to changes in climate (Dippner et al. 2001, Möllman et al. 2005).